El Cortez Hotel and Casino is a fun place to go if you want a feeling of what old Vegas is all about. Located on Fremont Street in the heart of downtown bars and eateries, you can find a lot of places within walking distance such as the Beauty Bar, Park on Fremont and Fremont Street Experience. If you book a room in advance, you can get a pretty good rate and if you ask for the Cabanas across the street from the main building, you can stay in their newly renovated boutique style rooms. 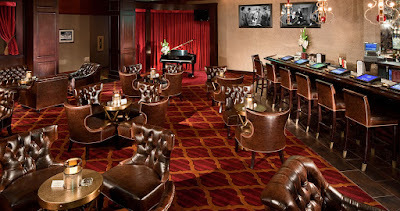 The El Cortez has the mood of a vintage Las Vegas casino with gold lighting and a staff that can be friendly. The rooms at the main building are clean, spacious and offer nice city and mountain views from the top floors. The hotel offers free wifi for all your connection needs. You can also get a smoking room if you like. The rooms at the Cabana building across the street are quiet, stylish and modern. They are not as roomy as the original hotel but do offer nice street views and a more boutique style hotel experience. Also, the concierge at the Cabana Rooms was extremely helpful in suggesting places to go for a night out as well as giving her experience of living in Las Vegas. The El Cortez offers one restaurant that is open 24 hours and also has a Subway at the front entrance for some food to go. 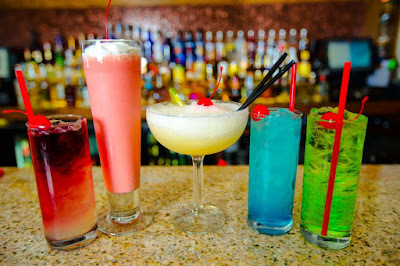 The drinks at the bar are good and reasonably priced. The parking is free and is located next to the main building. If you park on the top floor, you can catch a nice sunset view over downtown Las Vegas and the North side of the Strip. The original sign for the El Cortez Hotel boasts a coffee shop. But the El Cortez coffee shop is currently closed. You can however get a coffee at the main bar across from the reception desk, unless of course you sit down at the 24 hour restaurant. 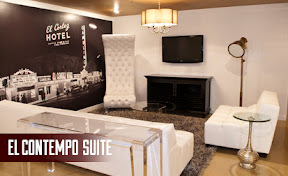 All in all, the El Cortez has it's charm. 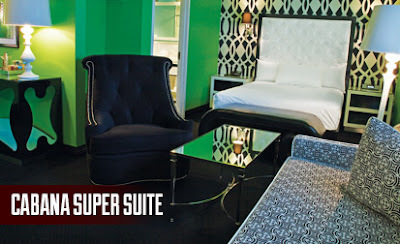 It's history and location make it one of the most interesting places to stay in downtown Las Vegas. Even if you stay somewhere else, go to the El Cortez, to have a look at the architecture and style of one of the oldest hotels in the city.